The Freight Transport Association (FTA) has issued a warning to fleet operators across the UK that they must ensure their staff are not breaking the law and using mobile phones when driving. Professional drivers must be aware of the law prohibiting the use of mobile phones for all drivers, with the penalties for misuse including a potential loss of their licence and livelihood. 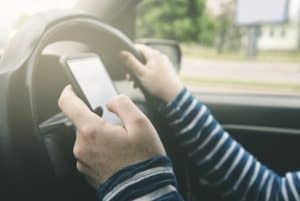 The dangers of mobile phone use are also widely known, as they present a considerable distraction that can lead to a significant increase in the likelihood of individuals being involved in a serious – and potentially fatal – accident. FTA deputy chief executive James Hookham commented: "Phones and telematics equipment are valuable tools, but safety is paramount. Essential phone conversations should be kept short and chatting should be discouraged. "A lot of our members have policies that prohibit mobile phone use in lorry cabs or have zero tolerance to abuse – drivers will be dismissed if they break the law." He added that it is important for companies to have robust mobile phone policies in place for their staff and to come down hard on those who break these rules. The safety of all road users is something that should not be placed in jeopardy by this irresponsible act.